Thua Thien Hue P rovince begins its three-day culture, tourism and sports festival for ethnic minorities tomorrow. 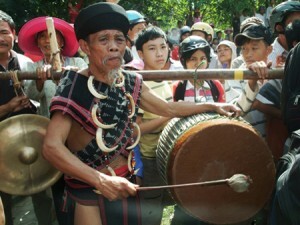 The biennial festival is aimed at strengthening solidarity between the Ta Oi, Pa Co and Ko Tu ethnic groups. Held in the mountainous A Luoi District, the festival is expected to attract about 700 people, including from the Nam Dong District, and other mountain communes. They will compete in sport, cooking and music and also hold exhibitions. Le Thuy Chi, of the province’s Department of Culture, Tourism and Sports, said the festival was always a great spectacle, an opportunity for tourists.